Self storage (or mini storage) buildings provide storage units to those who need additional space, whether it be for personal or professional reasons. 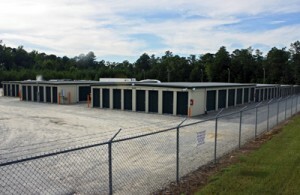 Most facilities offer units in a variety of sizes. At Turner Farms Self Storage, for example, our units range in size from 5×5 to 20×30, climate controlled units as well as non-climate controlled units are available. No longer do people have to deal with long-term contracts or expensive solutions to rent a location to stow their property. At Turner Farms Self Storage, we have set out to provide our customers a cost-effective alternative to storing belongings themselves. Self storage allows people more control over what, when, and how they store their goods. It provides the ultimate in convenience for busy people in need of extra square footage of space. To learn how Turner Farms Self Storage can meet your storage needs, contact us at 919.779.5997 or via email at info@tfselfstorage.com.